Come out for an afternoon of great food, drinks and lively entertainment at the Joseph T. Simpson Public Library. 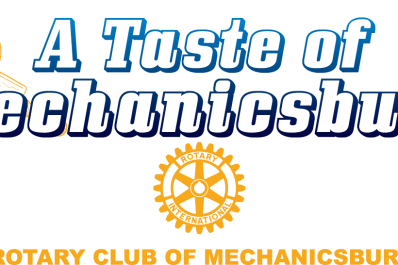 Mechanicsburg Rotary's premiere event features the culinary talents of local food and beverage vendors. Participating vendors include Duck Donuts, Dad's Garage, Ann's Cupcakery, Fiddler's Bar and Grill, Two Bridges Catering, Brittle Bark, Metro Diner, Larsen Meadworks, Cracked Pot Coffee Shop, Pizza Boy Brewing, and Jukebox Diner. Stay tuned to see who else may be coming! Tickets are $25. Purchase at Simpson Public Libraryor online at EventBrite.com. Service fee applied to online ticket purchases. Proceeds benefit Mechanicsburg Rotary's Student Scholarship Program and the Simpson Public Library.